Build corporate credibility by allowing your customers, clients, investors, or partners to see photographs of actual employees, facilities, equipment, and more. Philadelphias preferred advertising agency, professional custom website design company, and Pennsylvanias first digital photography studio, Dynamic Digital Advertising (DDA), offers professional commercial location photography services to a variety of industries based nationally and regionally in Pennsylvania, New York, New Jersey, Maryland, Washington D.C., and Delaware. For images that cannot be taken in our studio, Dynamic Digital Advertising goes on-location: call now to schedule your next photo shoot. In order for your photograph to be successful, it should tell a story and speak a thousand words. Location shots are effective because nothing tells a story like the real thing. With our still location photography services, there is little need for extraneous text. Who, what, where is often depicted from the image rather than the exposition. Though there is a place for that white backdrop, the right setting not only brings a shot to life but adds an authentic character you simply cannot obtain within the studio. Have you recently moved to a new facility or renovated the existing structure and want to show new clients or partners how your company is evolving? Have you invested in state-of-the-art equipment and want to emphasize your enhanced capabilities? Or have you hired new employees and want to present them internally to staff members or externally to the general public? From exterior or interior shots, to production shots, to corporate headshots, Dynamic Digital Advertising has the know-how to produce high-quality pictures that meet and exceed your expectations. The skills and equipment necessary for location photography differ from those of studio photography. Location photographers must be capable of fulfilling the frequent need to work quickly and creatively while under pressure. DDAs experienced photographers view these situations as a challenge instead of a hindrance. In fact, this is often where we do our best work. Whether we are working discretely in the background or directing individuals and groups of people, we always maintain a sense of courtesy, consideration, and professionalism. Some of the best shots are those captured at remote sites: contact DDA for the professional commercial location photography services that build corporate credibility. If your medical marketing strategies involve direct-to-consumer pharmaceutical advertising, then DDA Medical will help bring your product to the market. As a national and global medical marketing agency, DDA Medical is able to target the correct audience for your product. At the same time, if your company utilizes business-to-business pharmaceutical advertising, DDA Medical can help you reach distributors or healthcare organizations. Whether you wish to market your products on the Internet, print, or television, DDA Medical’s integrated marketing approach is the answer. Our advertising ideas for the pharmaceutical industry are proven to have a significant impact on the exposure of a business and its products or services. Learn more about our dynamic approach to pharmaceutical advertising services by clicking the following links: Medical Design and Development, Medical Video Production, Medical Animation, and Medical Trade Show Graphics. Video editing, storyboarding, scriptwriting, casting, and CD-ROM and DVD production only begin to describe the large amount of video production services offered by Dynamic Digital Advertising (DDA). As a full-service video production studio and advertising agency, DDA can complete any video production from the preproduction to postproduction process. 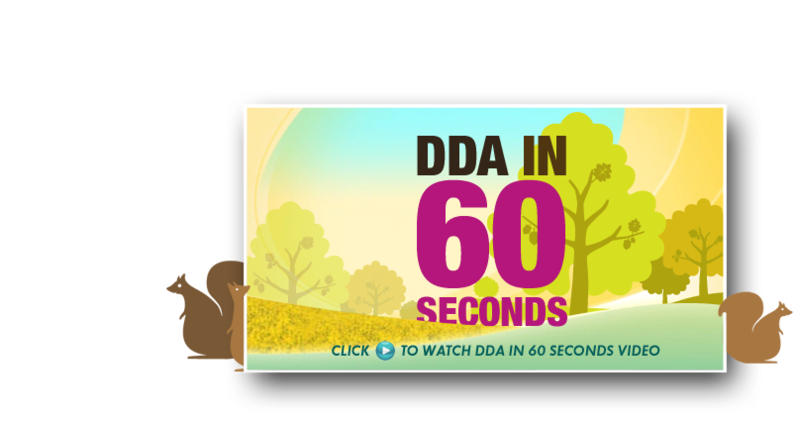 DDA has also reinvented the process of how Corporate Videos and Medical Videos are made by adding integrated animation elements and special effects to create engaging video productions. Clients will be impressed by your new Tradeshow Video, Product Demonstration Video, or Corporate Sales Video created by DDA. You can even easily explain the benefits of complicated products with an Instructional Video, Educational Video, or Training Video. There is no better return on investment than what you can expect from online advertising. Dynamic Digital Advertising, a professional custom web site design company, builds online businesses that rank high on search engines and rank even higher with searchers. We utilize the latest search engine optimization methodologies and perform in-depth research about your target audience to create a final end product that results in substantial business benefit. Through years of experience and a 14-step proprietary web design and development process, we can help you market effectively in the digital realm. Since 1994, DDA has gone from the first digital photography studio in Pennsylvania to Philadelphias preferred graphic design firm. In fact, we now offer one of the most complete graphic design service lines in the entire United States. Staffed by degreed copywriters, graphic designers, illustration artists, photographers, and others, DDA is able to meet any graphic design need for a variety of marketing materials from brochures and catalogs to CD-ROM presentations and trade show displays. Simply specify your requirements and identify your target audience and well produce multiple designs from which you can compare and select the best one. To see a listing of all our graphic design services, click the icon below.